Too many people have the impression that working in the construction industry is just about getting dirty on building sites. This, of course, is nonsense. There are tons of other avenues to explore – professional, design, financial, legal, marketing, writing, photography, as well as technical roles – they’re all part of the mix, helping to create the amazing structures that are the vital long-lasting backdrop to our lives that inspires me as an architect every day. Not that I ever minded the prospect of getting dirty. I was a tomboy growing up, always getting into scrapes. My dad was a hard-working electrician, and I would often accompany him on site when he worked at weekends, scuttling under floorboards for him and generally trying to be his little helper. I remember it going too far once. My dad was working on the roof when he suddenly felt a tap on his shoulder. It was me. I’d found my way up his ladder unsupervised and scampered across the tiles wanting to assist. I was only four! I suppose that’s how I got into the industry. Not only was my dad an electrician, but my uncle was a property developer, and so you could say it was in the blood. I’m forever grateful for that early insight into the wonder, craft and beauty of buildings. It stayed with me through school. Despite the careers adviser who tried to put me off the idea, I completed my BTEC in construction with flying colours and then had the grit and tenacity to go to university and eventually qualify as an architect. Of course, not everyone is so lucky or has the same opportunities. When our industry is facing skills shortages, we need to attract people in other ways. As a woman, I’m super aware of some of the other challenges that might put girls and young women off. I’ve not encountered too much sexism in my working career but I do remember my first ever site meeting as an architect. I was surrounded by calendars displaying page three models. I found myself wondering, ‘How are they going to respect me if that’s their impression of women?” It was uncomfortable then, and clearly, although the industry is gradually improving, there is still a way to go. During my tenure as chairman of the Southwest Women in Property group, there was a whole rash of relevant high-profile scandals to hit the headlines. The #metoo campaign and particularly the President’s Club fiasco (which was heavily patronised by men from the property world) really caught the zeitgeist. These injustices put wind into my determination to do whatever I can to keep the doors to this industry open. This isn’t just a question of fairness, although of course that is incredibly important. It’s also about all the evidence out there that diversity of all kinds – racial and sexual orientation as well as gender – makes us better, more original architects. To design buildings for all people, it helps if our team is inherently diverse. And so I am now part of our in-house equality team committed to improving the balance of diversity in our business. Part of the problem for the industry generally and for my profession in particular is about retaining women. Architecture is all-consuming and so maintaining a healthy work/life balance is hard enough even without starting a family. Huge numbers of women fall out of the industry mid-career, and for many reasons. This is a waste of talent. We need to find ways to ease those very difficult choices that women are forced to make. Ultimately, you need to find something you love and enjoy, and with construction there are so many options. I’m really honoured to have been recognised as a role model in the industry. Part of my work has involved speaking with school pupils, to entice kids into construction careers. It’s something I love doing. I want to communicate how important construction is. What’s more, people see and use your work for many years. I always tell school children that’s why it takes so long to qualify: a doctor can bury their mistakes but an architect has to live with theirs! Ultimately, though, you need to find something you love and enjoy, and with construction there are so many options. 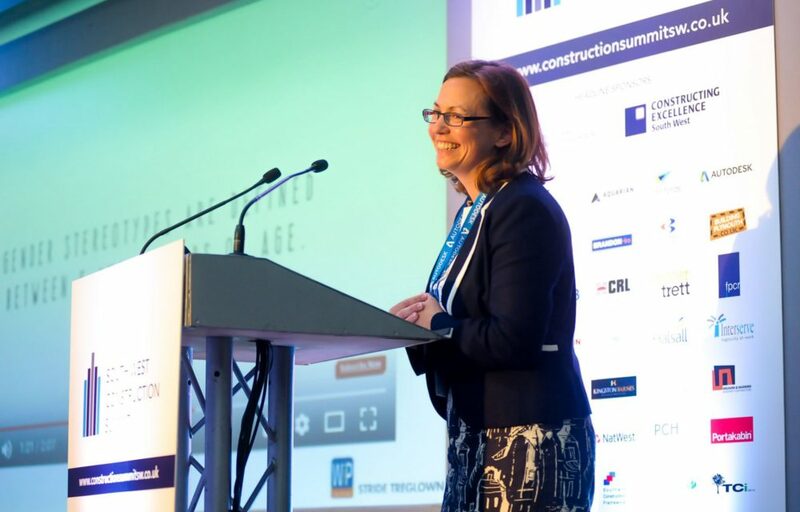 I also strive to encourage my construction contemporaries to take responsibility for promoting the extraordinary challenge, opportunity and excitement that awaits anyone who joins our industry. We can’t expect the next generation to fall into our laps – let’s go out there and inspire them! Rachel was awarded Female Mentor of the Year at the South West Mentoring Awards 2019.